High quality 2 channel DSO with 70 MHz bandwidth, 2 GSa/s and 14 Mpts memory depth. 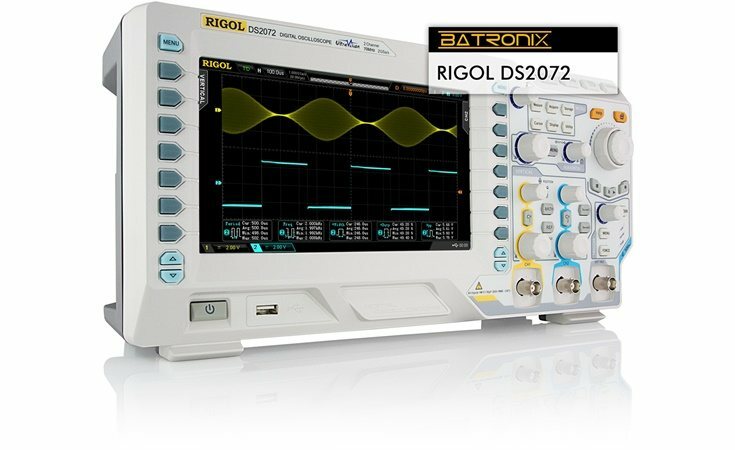 The Rigol DS2072 is a very high quality two channel digital storage oscilloscope. 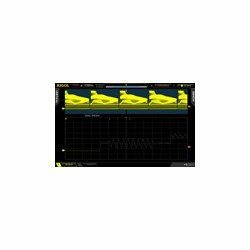 It features a real-time sample rate of up to 2 GSa/s and a bandwidth of 70 MHz. 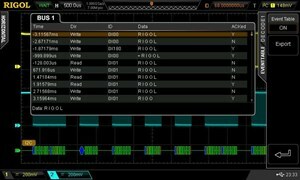 The Rigol oscilloscopes are equipped with well designed and easy to use controls which also offer comprehensive ease-of-use functions for all measuring tasks. The menu navigation is intuitive and available in several languages. 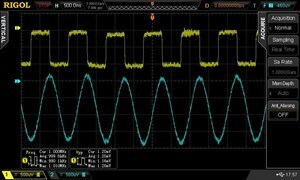 This high performance standard not only ensures capturing real-time instantaneous signals, but also observes details of repeated signals. 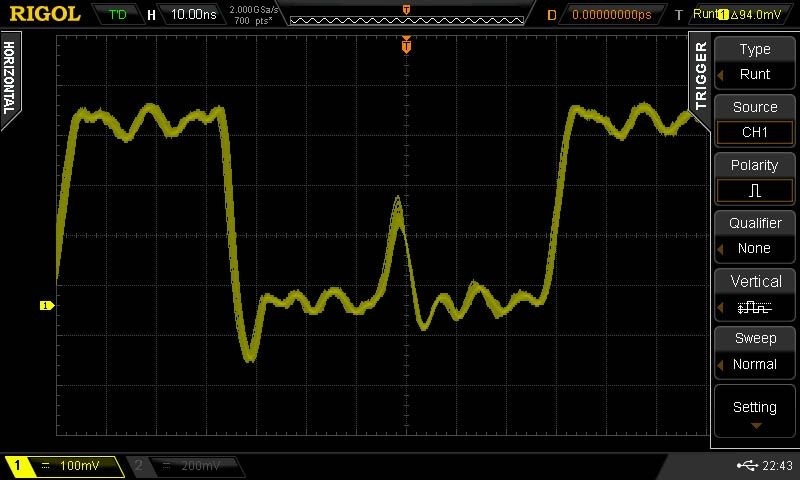 The DS2072 has a refresh rate of up to 50.000 wfms/s, enabling users to capture instantaneous signals, as well as abnormal signals more quickly. 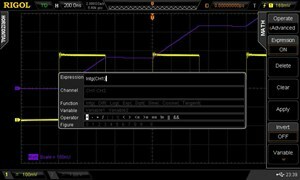 It also helps to enhance the waveform capturing ability and to expedite a circuit debug course. 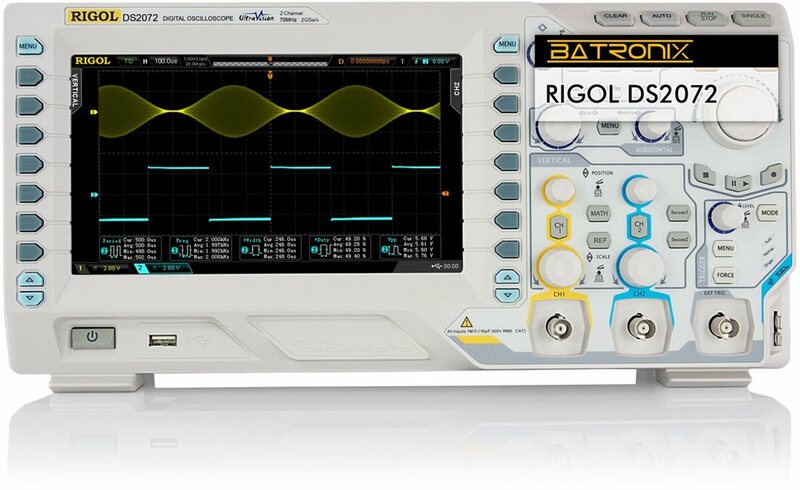 The quality of the Rigol oscilloscopes is comparable to Agilent and Tektronix oscilloscopes. 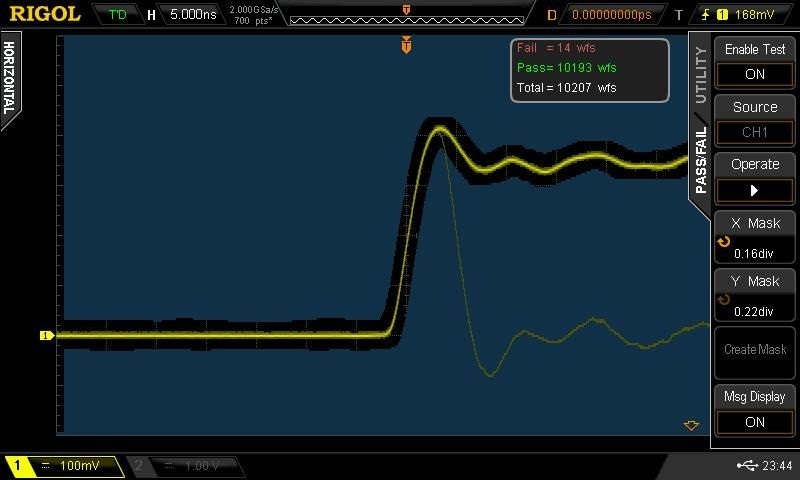 The DS2000 is able to measure very small signals, thanks to the measurement input stage which was newly developed by Rigol. The vertical resolution starts at 500uV (0.5 mV) per division. 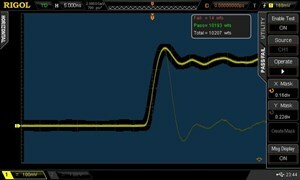 The screenshot shows the measurement of a scant 1 millivolt a squarewave signal (yellow). 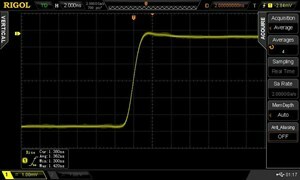 The new measuring input stages behave almost perfectly even at the frequency response. 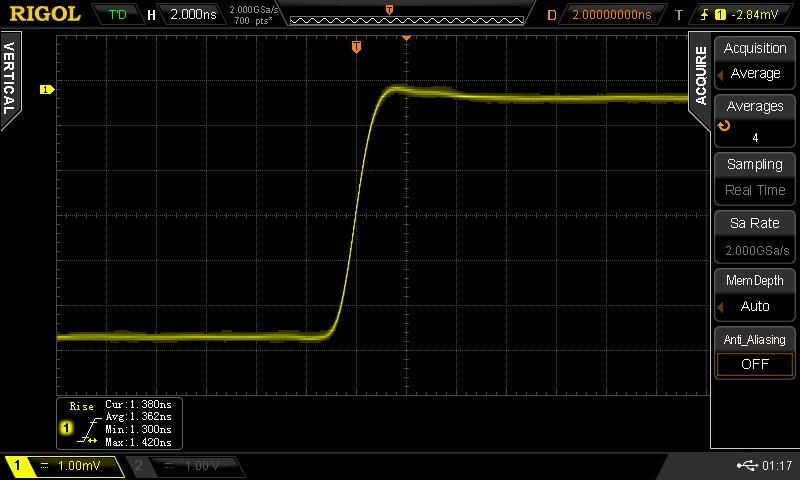 On the screenshot you see a signal with a rise time of just 1.4 nanoseconds, with an amplitude of about 5 millivolts. The overshoot is below 5%. The Rigol DS2000 oscilloscopes can store up to 14 million measurement points. 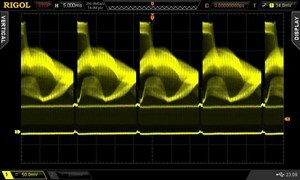 You can zoom into a selected part of the captured waveforms to get more details and scroll within the measurement points. With the optional memory module MEM-DS2 even 56 million data points are available. 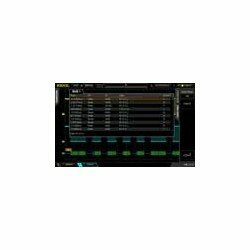 The memory expansion module "MEM-DS2" is available on this page under the "accessories? tab. 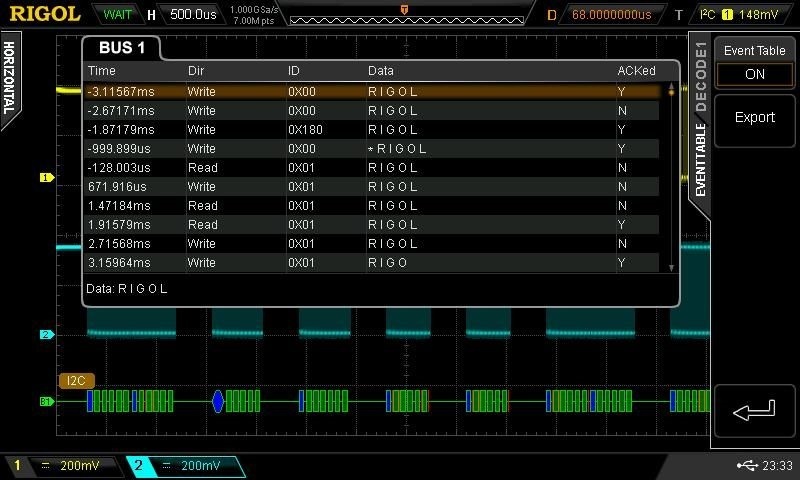 The very high sampling rate of the Rigol DS2000 Oscilloscope and the large memory makes it possible to record up to 50,000 waveforms per second. 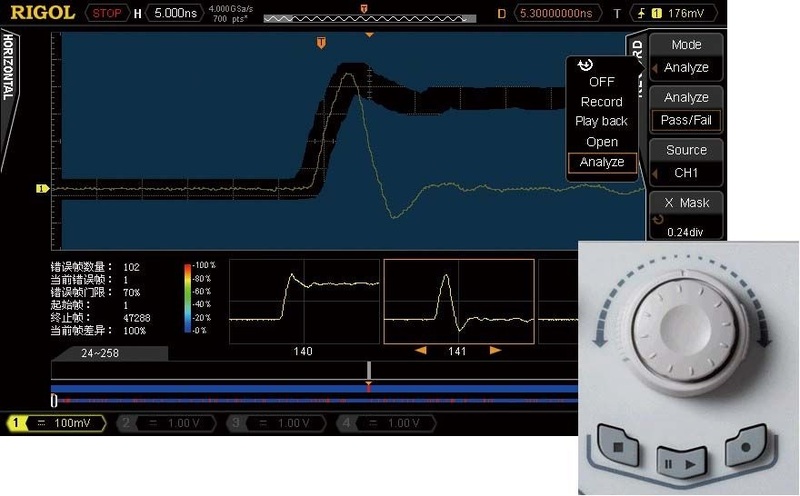 The recorded waveforms can be conveniently displayed and analyzed. 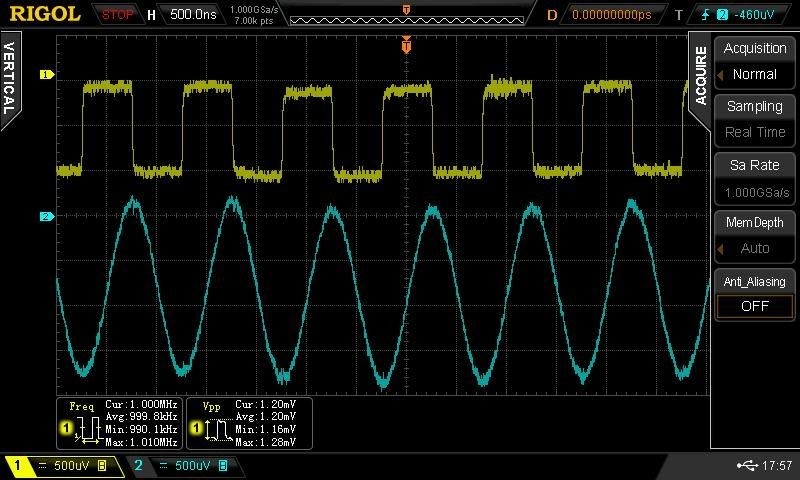 With the "Multi-Level Grading Intensity" display, extensive signal characteristics with a very large number of measurement values can also be displayed completely. 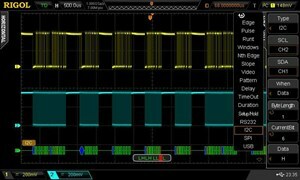 Triggering on serial bus systems (RS232/UART, I ² C and SPI) is already included. 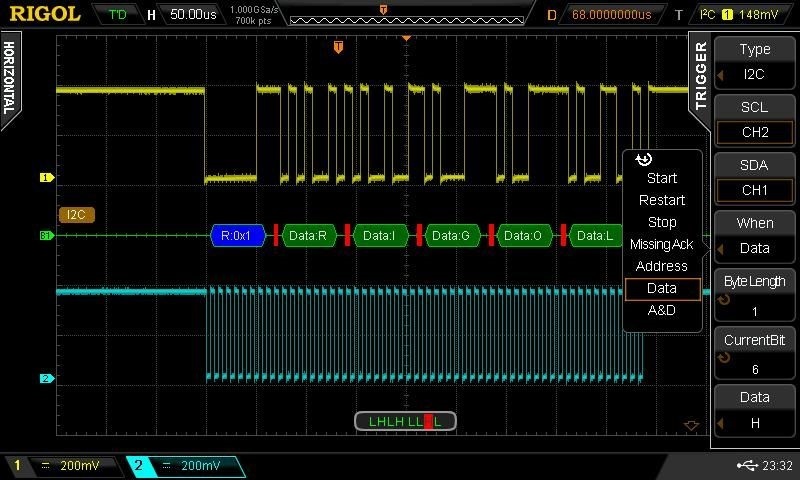 With the optional "SD-DS2 Decoding Kit" serial data packages of different serial bus systems can be analyzed, decoded, and displayed directly as byte values. 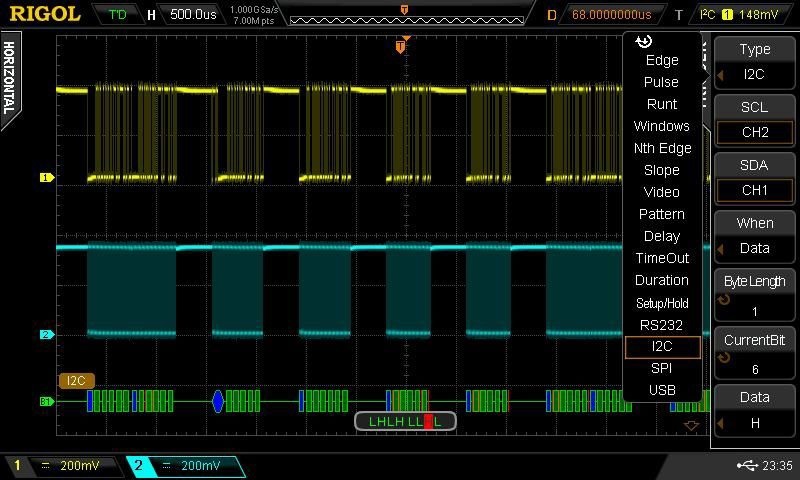 Supported protocols are: RS232/UART, I²C, and SPI. 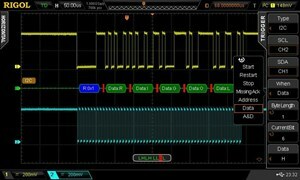 The serial decoding module "SD-DS2" is available on this page under the "accessories" tab. 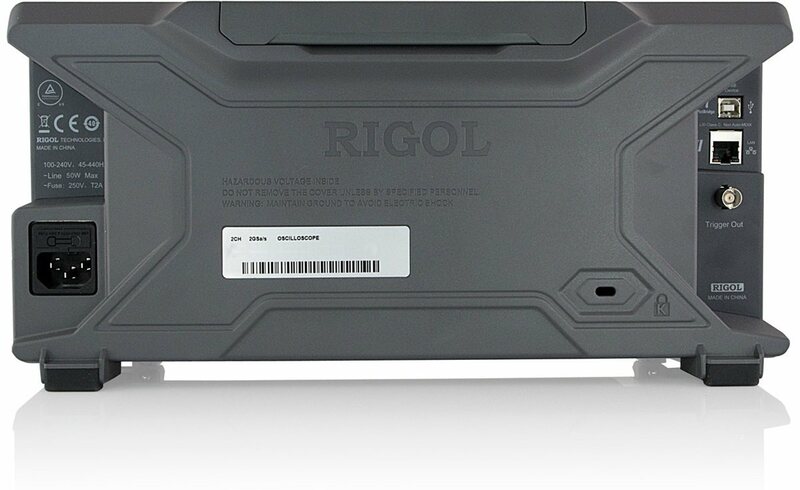 The Rigol DS2000 oscilloscopes offer comprehensive trigger options, allowing a professional use. 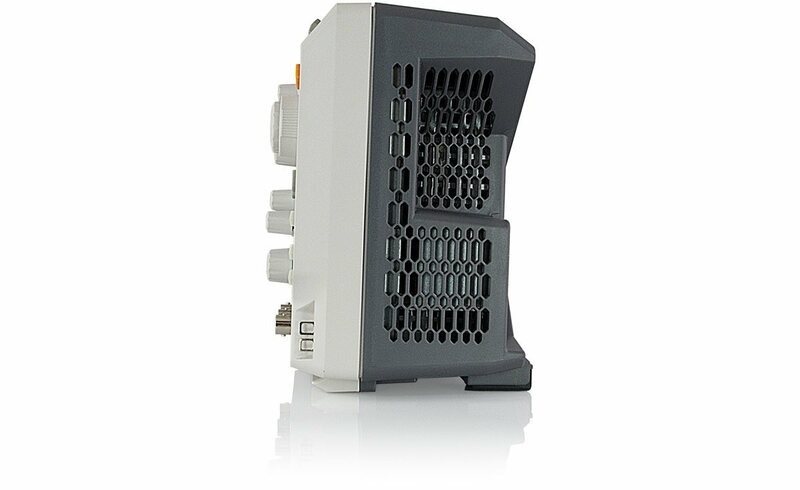 The special trigger "Windows", "Nth Edge", HDTV, delay, time out, duration and USB are available with the optional "AT-DS2 Advanced Trigger" module, available on this page under the ?Accessories? tab. In the "runt trigger" mode, the scope can trigger on dwarf pulses. Dwarf pulses are short pulses that do not reach the full amplitude. 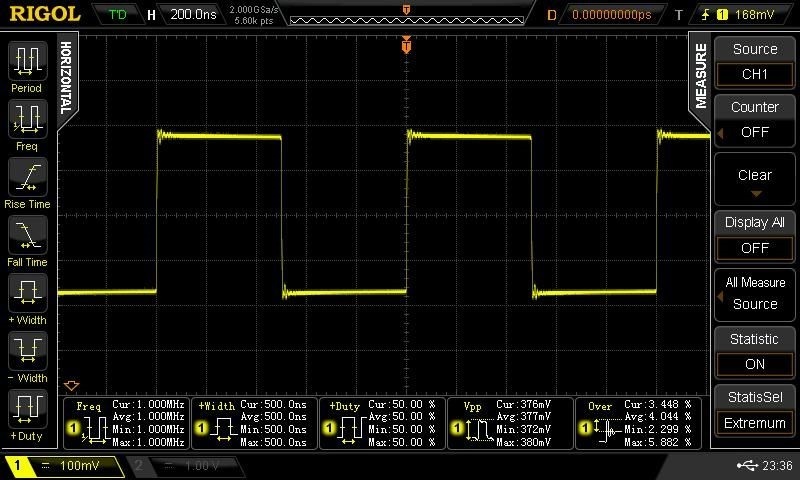 For this trigger mode three voltage thresholds can be defined (eg, 10%, 50% and 90%). If the signal passes the first two thresholds in one direction, but doesn?t reach the third, the trigger fires. 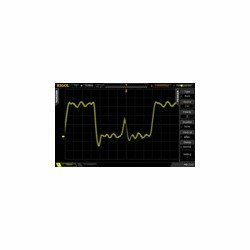 The DS2000 series oscilloscopes comes with a modern and advanced math system which lets it solve complicated signal calculations quite simply with user defined formulas. 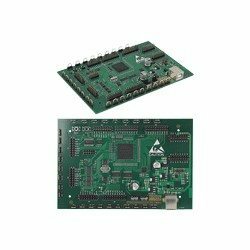 14.25" × 7.09" × 5.16"
Optional RS232, I²C and SPI signal decoder module combo for the DS2000 series devices. Simple activation via software code. 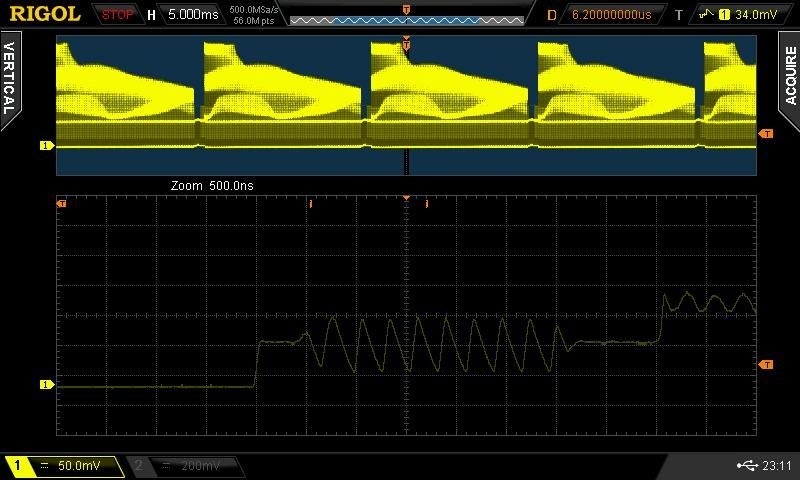 Please specify the serial number of your oscilloscope, if you have this already and want to order the option. 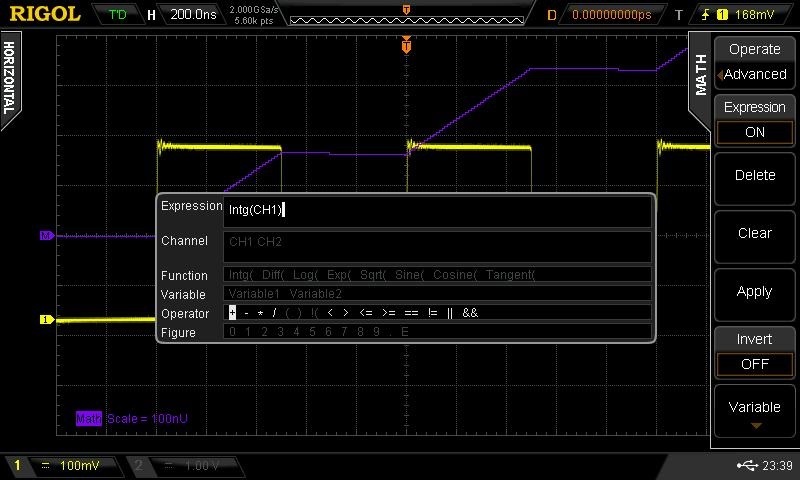 Optional advanced trigger function for the DS2000 series devices. Simple activation via software code. 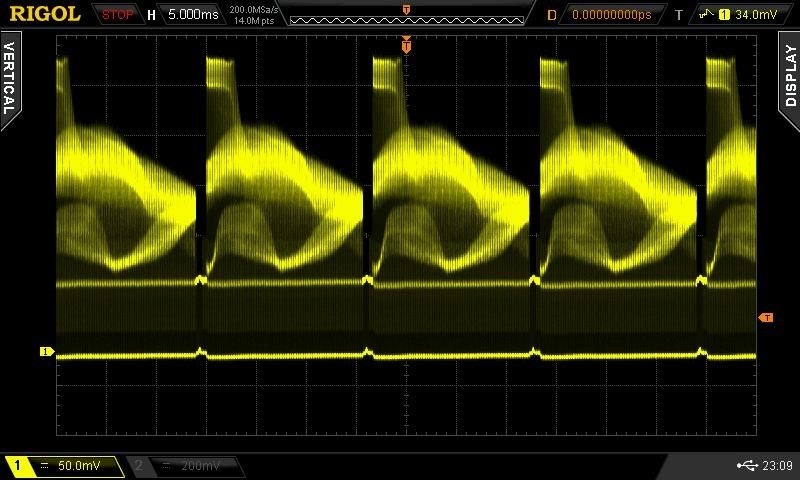 Please specify the serial number of your oscilloscope, if you have this already and want to order the option. 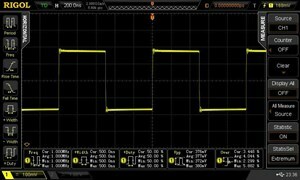 Optional 56 Mpts memory option for the DS2000 series devices. Simple activation via software code (memory is already build-in). 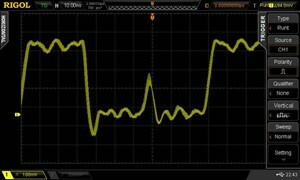 Please specify the serial number of your oscilloscope, if you have this already and want to order the option. 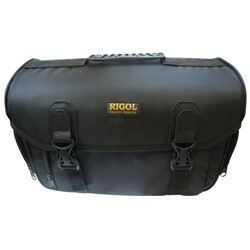 High quality soft carrying bag for Rigol DSA800, DG4000 and DS2000 series. 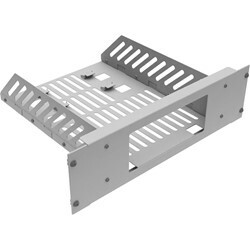 Rack Mounting Kit to mount the Rigol DS2000 series oszilloscopes in a 19" rack.